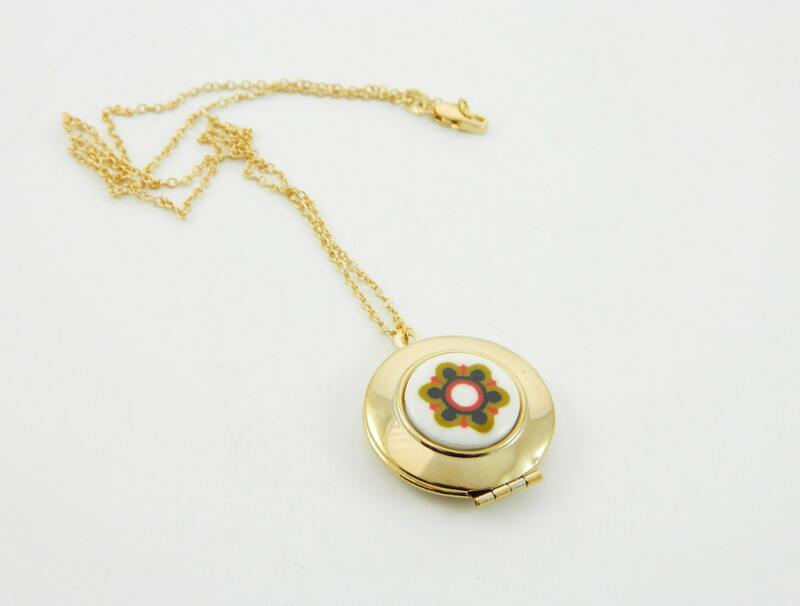 14k Gold Plated Mod Locket Necklace. 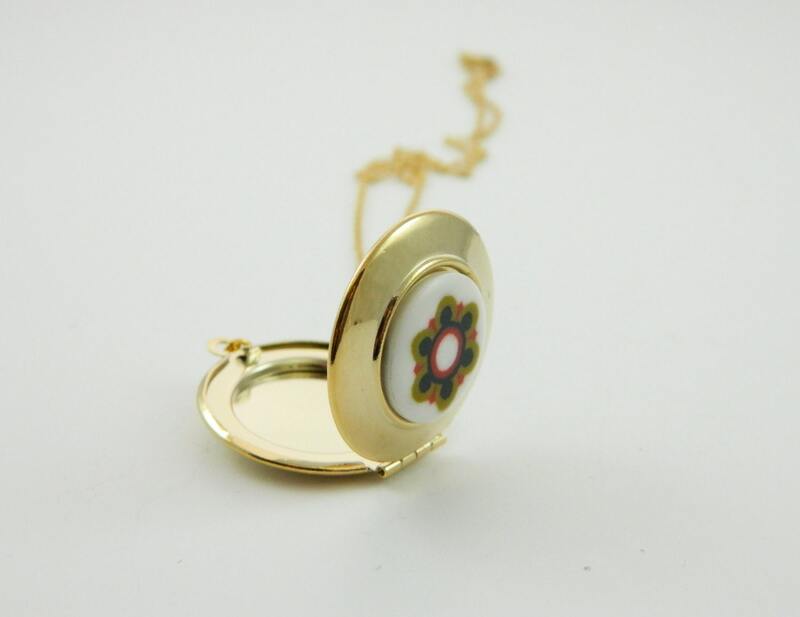 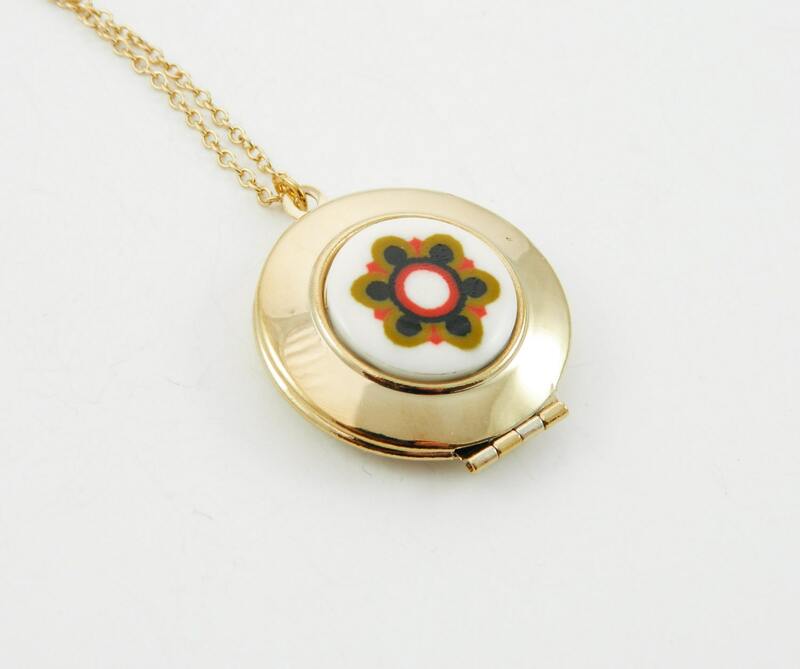 14k Gold Plated Locket with Vintage 60s Mod Print Cabochon. 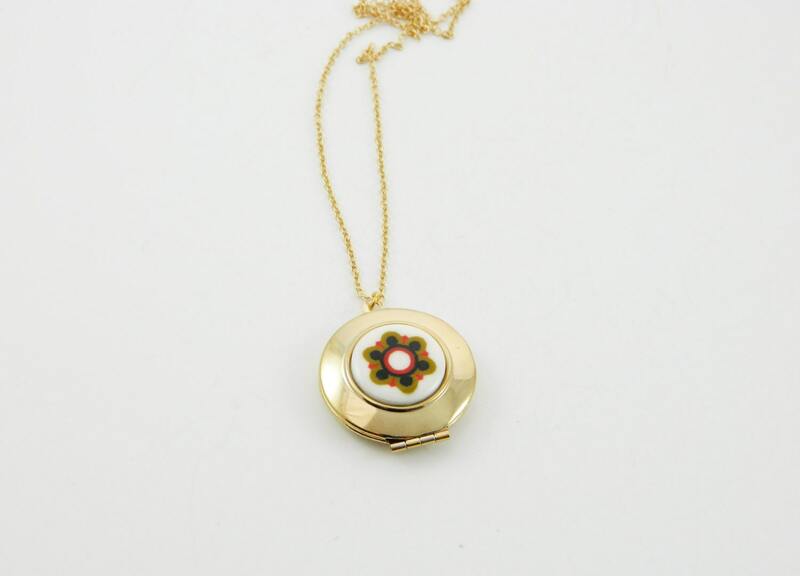 Chain: 18k Gold Filled Cable Chain.